User Experience, or UX as it’s commonly referred to, refers to a user’s interaction and experience with a software application or a website. But is user experience relevant to landing pages as well? Yes it is, but with one important caveat: we’re not interested in a user’s experience with the landing page - as marketers, we’re interested in a user’s experience with a landing page if it increases conversions and sales. In this article we’ll talk about how to maximize the user experience of your landing pages, focusing specifically on how to increase conversions based on that user experience. What is User Experience and why is it relevant? In other words, UX refers to whether an application or a website is pleasant and easy to use or not. Why is this relevant to landing pages? Because we want our potential customers to have an experience with our landing pages that motivates them to buy from us. If optimizing their user experience with our landing pages leads to more sales, then it’s relevant to us. If your landing pages are not converting the way they should, your goal is to improve the conversion rate of your landing pages - in other words, implement a conversion rate optimization program. In this UX Magazine guest post by WiderFunnel’s Chris Goward, the recommended method for analyzing your landing page’s UX as it relates to conversions is to analyze your landing page according to the LIFT™ model. LIFT™ stands for Landing page Influence Function for Tests. Goward recommends using the LIFT™ model to analyze your landing page’s experience from the point of view of your visitors. Value Proposition. Listed as the fuselage of the hypothetical airplane in the model’s diagram, this is the most important part of the landing page. What will user’s get out of your landing page? What’s in it for them? The value proposition is central to your landing page, and the remaining elements are either conversion drivers or inhibitors. Relevance. Does the landing page provide your prospects with what they were expecting? We discussed the importance of scent in previous articles. Are you continuing their scent? Clarity. 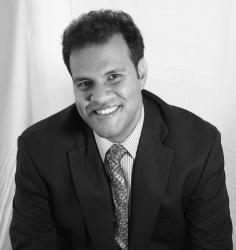 Is it clear to your prospects what you’re talking about and what you’re offering? Design and copy are the most important factors related to design. Urgency. Is there a time factor with your landing page? Can you complement your visitors’ own urgency with a deadline for your special offer? Anxiety. The first of the conversion inhibitors. Do your visitors trust you and your landing page, or have you given them reasons to hesitate or be suspicious? Distraction. Are there too many secondary or tertiary calls-to-action that are distracting your visitors from taking the main call-to-action? The LIFT™ model is a great way to analyze how your page might be helping (or inhibiting) sales, but now you've got to optimize. There are two ways to find out where your users get stuck on your landing page, your analytics software and eye-tracking studies. Google Analytics provides you the tools you need to set conversion goals and sales funnels, and analyzing your prospects’ trip to your intended goal. It can also help you figure out where your users get stuck. By analyzing reports related to your conversion goals you can see bounce rates, as well as where you lose them. For example, if you have a multi-step form, you can see whether you lose them at the first step, or the second or third steps. You can also see if your form or call-to-action button is getting any use or not. But for a closer look at where your landing page is repelling your visitors, an eye-tracking study can come in handy. Landing page testing site Which Test Won says eye-tracking studies are fairly cheap, low-risk and they provide great training for less experienced designers and copywriters. The end result of an eye-tracking study is a heat map that shows what your landing page visitors looked at. The statistics you get from Google Analytics and eye-tracking studies can provide you with the information about how your current page is doing, but it won’t provide you with the information you need to improve your page. 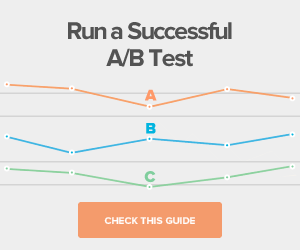 You need to test any improvement you make with an A/B split test. (Lander has an easy-to-use A/B split testing tool). 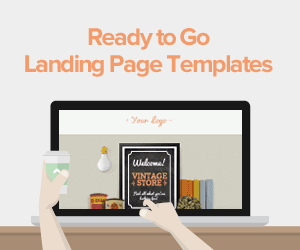 Create two or three variations of your new landing page. In our previous article we suggested changing the headline, body copy, call to action button or their position. But if your current conversion rate is very low, we suggest making more drastic changes such as creating new pages with completely new designs. Test your new pages against the original page. Your original page is referred to as the “control page.” If you’re starting from scratch, test two new designs at the same time. 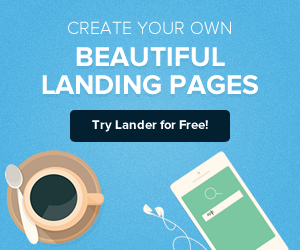 Lander’s split-test tool allows you to test three different landing pages at a time, allowing you to test the control against two new versions. Identify the winner. One of the new pages might drive a significant number of new conversions. However, you might not be that lucky. You might actually drive fewer conversions. It’s important to keep testing newer pages to ensure you can improve conversions. When designing new variations of your landing page, we recommend creating a hypothesis for what your new page will do. The hypothesis is your guess as to what new design or copy elements will do to conversions. But as with any scientific experiment, you need to test your hypothesis. 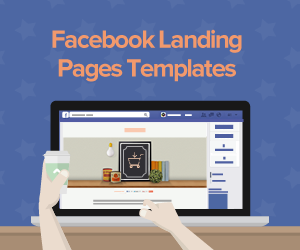 Are conversions on your landing page lower than expected? What is your landing page’s user experience? Analyze your landing page using the LIFT™ framework, then use Google Analytics and eye-tracking studies to see where users get stuck. Finally, design new versions based on a well-informed hypothesis, and test the new designs using an A/B split-test tool. And remember, your prospects’ user experience is only relevant to you if it improves conversions.